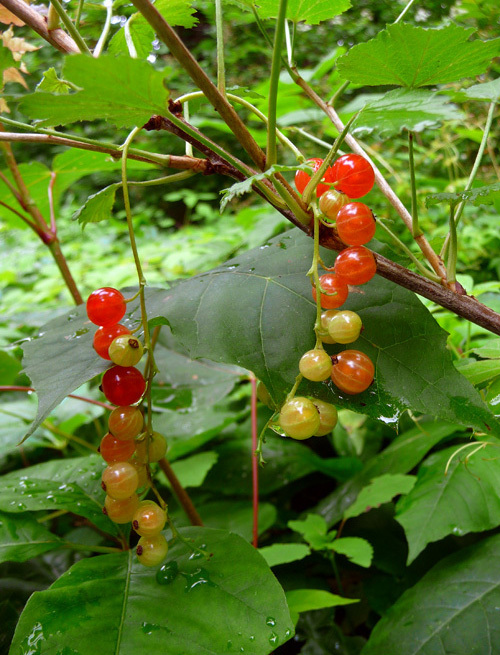 I found these currants ripening on a bush half hidden in the weeds skirting the woods along King Street. Most likely, the bush is an artifact of the Knapp farm that occupied hundreds of acres here in the 19th century. It might even date earlier, as the first European settlers began farming here around 1685. One thing that fascinates me about New England is the age of the place. When the area where I grew up, in north-central Pennsylvania, was still a wilderness, Danbury was already a century old. With five more generations to clear the land and accumulate wealth, Connecticut seems to have a higher percentage of people who were born with money. As a result, whereas in my hometown it is routine to ask a new acquaintance what he does for a living, here the question may be viewed as impertinent. Why? My theory is that the question embarrasses, because New England retains some of its old Puritan culture: money acquired without work is sinful. .